The Present Quilt made by Brenda Alward using her Baby Lock Tempo and charm packs from Robert Kaufman's Holiday Flourish Metallic, The Tutorial designed by Jenny of Missouri Quilt Co, it's available for free. 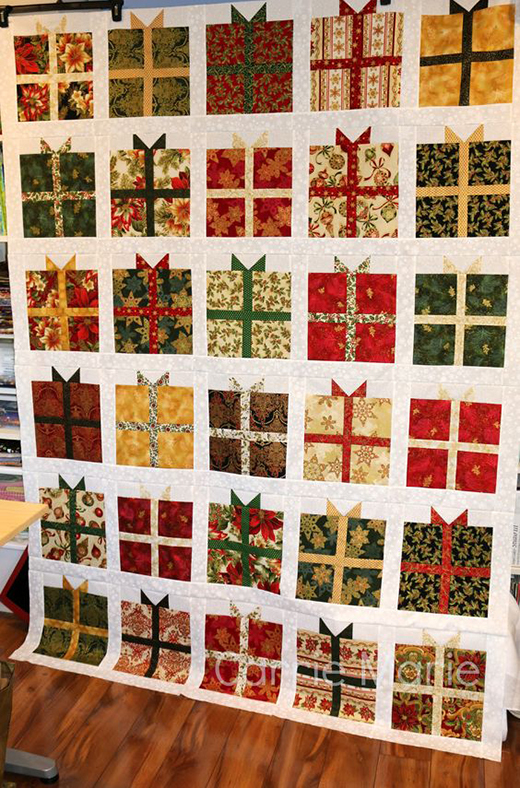 Jenny Doan shows us how to make a lovely Present Quilt using charm packs (5 inch squares of precut fabrics). This quilt can also be make with layer cakes (10 inch squares of precut fabric). The finished quilt is 72x92 inches.